As 2017 closes, I reflect on all the wins and losses of the last 365 days. I've written my resolution for the year, as well as my daily resolutions that will get me there - something most people overlook. What I've noticed over the years, is that drastic life altering resolutions don't hold up unless there are daily strategies to ensure their progress. Increase pre-authorized transfer by +12% this year. I don’t know about you, but I feel I’ve come a long way since that resolution at 16 year old. More importantly, greater depth and detail in what I'm aiming for. I should take a second and address the one in the list that is not like the others - getting the Tesla. I've elected to include this section of the post only to document my mindset on making wasteful purchases. If you’ll notice I started saving for a Tesla when I was 25 because that's when the company first released the car - more so, my target date to actually get one still isn't until 2025 (or slightly after). That's approximately 15 years of preparation. I find giving myself a reasonably long time horizon for large purchases/expenses is extremely important to pulling it off without hurting my financials. Building money from nothing takes a long time. 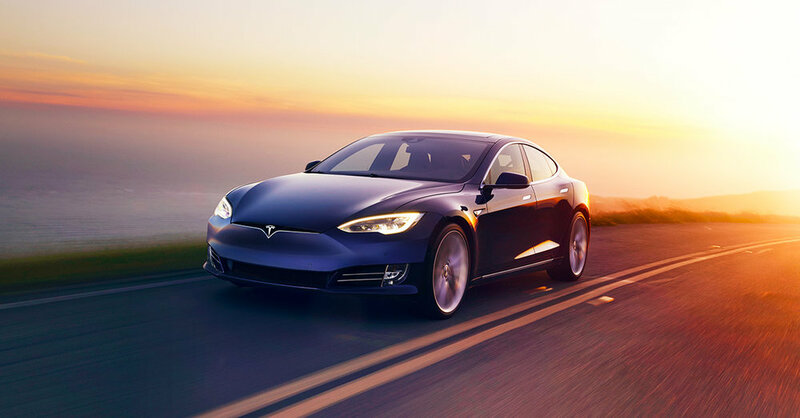 This has worked many times in the past: buying my first car in cash, buying a diamond ring, paying for the wedding ourselves when we got married and should work well in the future: buying a house (when the market cools off a bit), and getting this Tesla (or supercar, daydreams right?) at some point. Of course if you've read my post on buying assets not liabilities, getting an expensive new car flies in the face of everything that lesson is about. A car only depreciates in value. But I truly know myself, and I know that it's something that motivates me, and allows me to happily stick to the strategy. Whether I actually end up buying this car or not in the future is a decision I'll make at the time; if you recall reinvesting the money is always better than purchasing material items. Either way, I've noticed when I plan far ahead, be patient and stay committed to taking small steps towards my goal, even a huge expense is entirely manageable and doesn't rock the financials. This is part of what I mean when I say, "Don't quit your daydream"
To the real point of this post - the depth and detail of my resolutions have certainly gotten better with age. Something I’ve been actively trying to do more, especially recently, is develop a macro and micro strategy for everything. Have a high end philosophy of what you believe in (the clouds), and the low-down subject matter expertise that allows you to execute against it (the dirt). Forget everything else in between, it will figure itself out. Back to my early resolutions (forget age 16, I was a little selfish apparently), at age 19 I was trying to do this "make a lot of money, change the world". Unfortunately the necessary details to get me there were lacking. But life is a progression… and I like to think as the years go on, that I am more aware of these 2 aspects. Today - I’m crystal clear on the details. As a practitioner of saving and investing my own money I see a clear path to achieve the second half of that resolution which hasn’t changed since I was 19. “Change the world”, although vague at the time, over a decade later, I now see various avenues where this can actually happen. Albeit a small change at first, but just like investing, it’s a snowball effect that will grow with time. On top of the specific problems I want to solve, I can help others along the way and support them as they achieve their dreams. I hope to inspire people to also do good with their new found wealth. I will revisit this "clouds and dirt" strategy in a future post, as I believe it has tremendous application for investing and life in general - at least it has for me in my personal life. If you’ve repeatedly fallen short on a resolution, or given up entirely, make this your year. Figure out the clouds and dirt of what you need to do to make it a reality. Understand your macro vision, and execute daily to get you to that goal. Here’s to the end of another wonderful year, I wish you all the best in 2018! 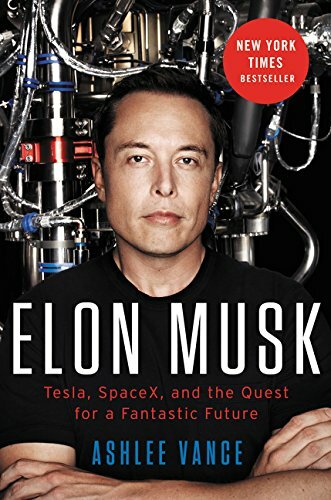 If you know me personally, you'll know that I not only have a soft spot in my heart for Tesla, Elon Musk and everything he is trying to achieve for the human race, but this book is genuinely a great read. While not investing specifically, the lessons I've picked up by reading about Musk's life have been inspiring - most particularly his intense work ethic and engineering approach to problem solving. TL:DR - Colossal expenses are entirely manageable over time (time is your ally). To accomplish things in life, it's important to have a high end philosophy of what you believe in (the clouds), and the low-down subject matter expertise that allows you to execute against it (the dirt). Take steps towards your goal every day. Forget everything else in between, it will figure itself out.